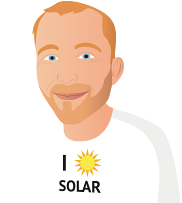 If you're an Australian solar power system owner and would like to share a review of your solar panels, inverters or installer with other potential Australian PV buyers, here's the place to do it! Add your opinion to tens of thousands of others we've collected over the years – SolarQuotes hosts the largest reviews database dedicated to solar energy in Australia. To date, tens of thousands of installer reviews have been added, along with thousands relating to panel and inverter brands. Assuming your feedback is genuine, it will be published whether it's positive, negative or indifferent. However, as your review could be read by thousands of fellow Australians, it's important to communicate your feedback and opinions in the most effective way. Only submit reviews of products you own or installation services you have used. In the case of panel and inverter reviews, you should have had the equipment installed for at least a year. Include sufficient detail about why you feel a particular way about a product or service. Be clear in what you write – take a potential reader's perspective; will someone else understand what you're communicating? Be objective, not overly emotional and don't swear or engage in personal attacks, nor make a review sound like a marketing spiel as this will impact on its credibility. Reviews should not use all CAPITALS as this is considered "shouting". If you have any sort of formal affiliation with a brand or company you are reviewing, this must be declared. Looking For A Solar Quote? If you'd like pricing and details on a solar power system that's right for you, submit for a quote (it's free and there's no-obligation). We'll match your requirements with up to three carefully pre-vetted installers that are part of the SolarQuotes installer network who service your location and will follow up with you.